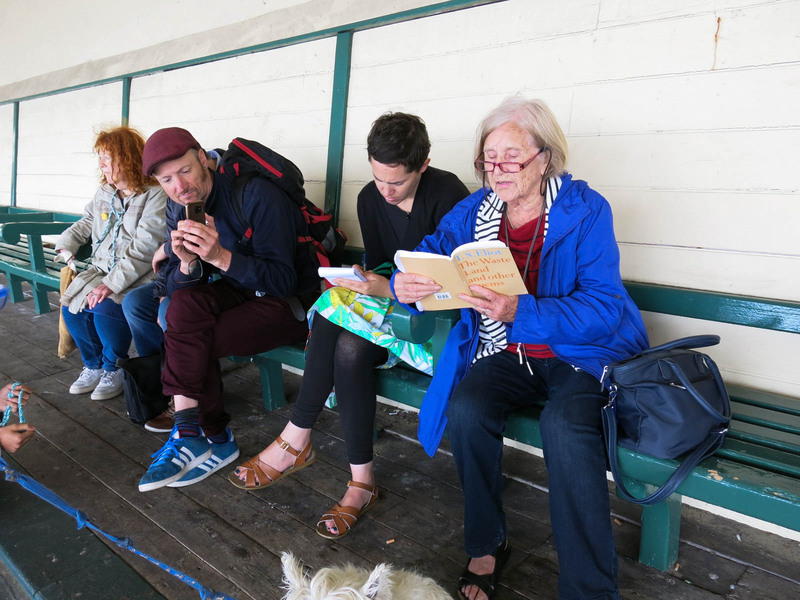 A photo diary with information about developments for Walking with the Waste Land at the Margate Bookie 2017. 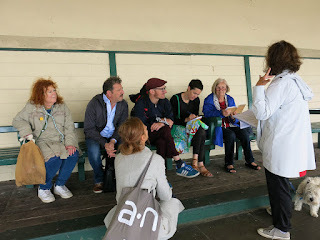 The Walking Group has spent much of the last three years exploring TS Eliot's poem The Waste Land and developing connections to the poem with sites in Margate where much of this seminal poem was written. 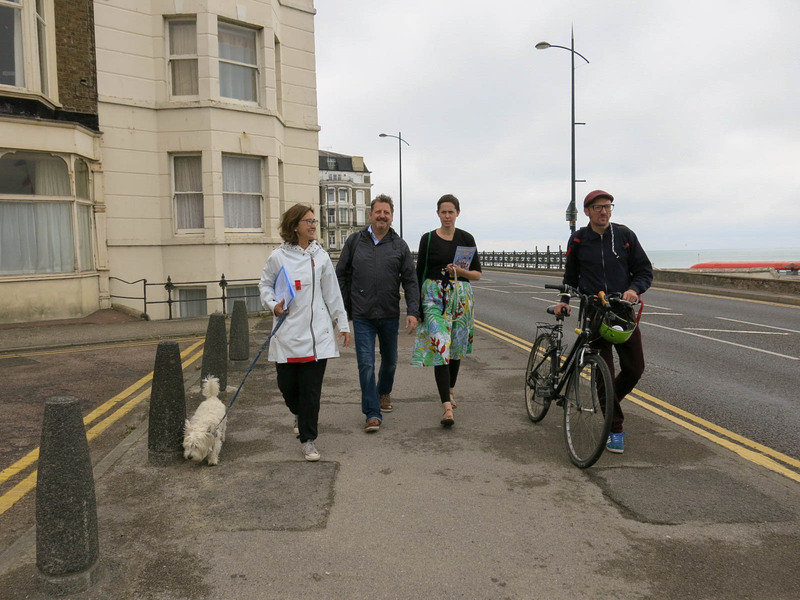 As the Research Group finalises the selection process and design for the exhibition the idea behind this particular walk has been to introduce six selected artworks to fellow walkers without them being able to see the work. 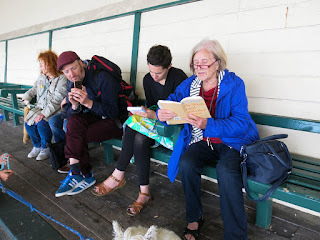 We will use chosen sites in Margate, readings from the poem and our own personal connections to introduce the work. 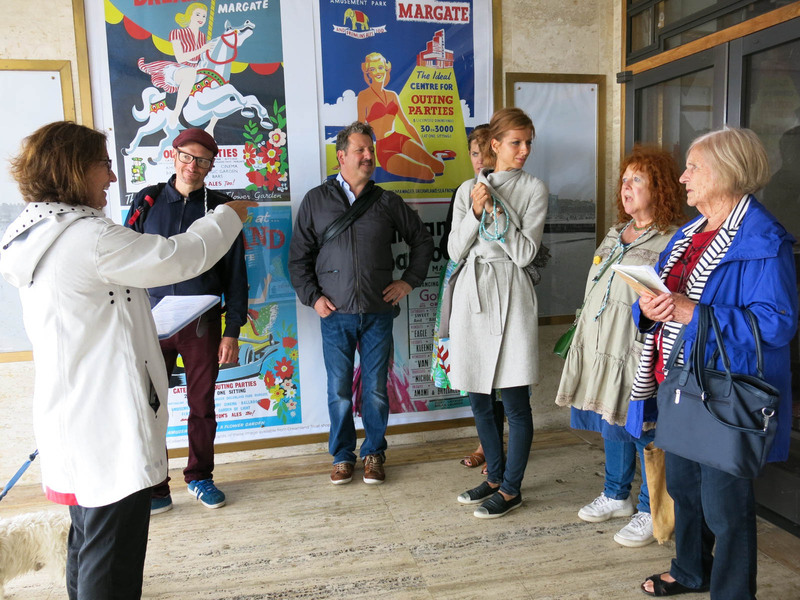 Through this process we hope to share some of our experiences working on the project and how we approached the selection of the art work. The event on August 19th which has been included in the Margate Bookie program http://margatebookie.com/about-us/ , will be followed by a viewing of slides of the six chosen artworks described during the walk, and a discussion led by Dr Richard Turney at the Turner Contemporary in Margate. On Wednesday July 26th, we explored and developed our thinking further the best way we know how, through walking. What follows is a photo diary with some reflections from last Wednesday..
As I reflect on last Wednesday, which I suggested as a way to test out ideas that have been formulated over the last few months, it struck me that it was difficult to describe this as a trial run or experiment. The walk itself was so rich in contributions and discussion that it reminded me that each walk is unique and you cannot replicate a walk. 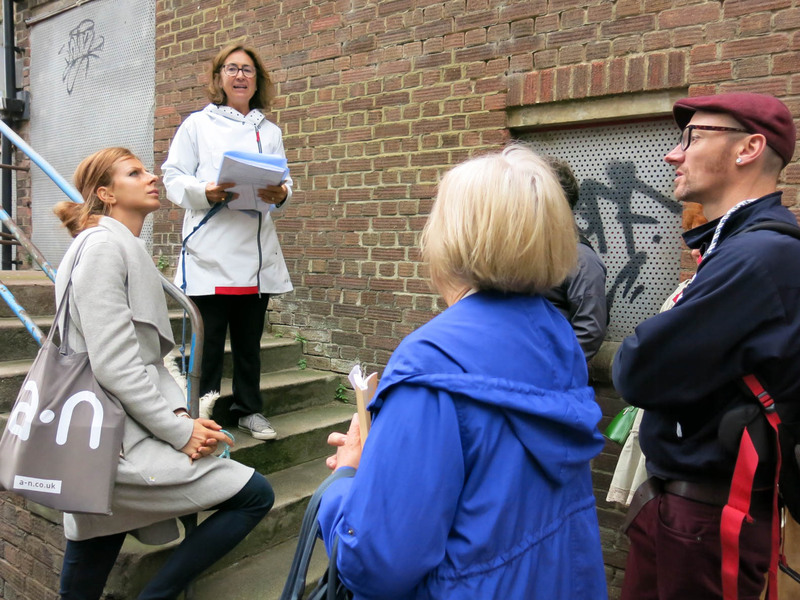 Each project that we have undertaken with Walking with the Waste Land takes on it's own momentum and develops from the contributions brought by those participating on it. This one was no exception. 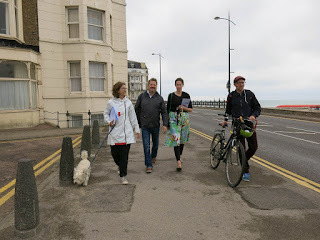 Mirka Kotulicova a Gallery Assistant at the Horsebridge Art and Community Centre in Whitstable. The initial idea was that they would be 'guests' who would contribute feedback to our core contributors who bring their creativity and performances, with associated readings to the walks. 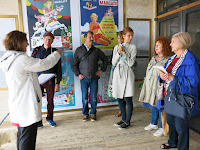 I now feel hesitant to describe them as guests as I feel that they together with the Walking with the Waste Land group really created a wonderful walk which I will always remember. 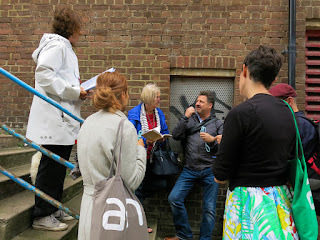 I am often worried that the walks should not be over rehearsed as they are not about a performance, they are very much walking as research. Wednesday was no exception we did not follow the prescribed route, which was rather wonderful as the walking talking and reading led us in new directions. 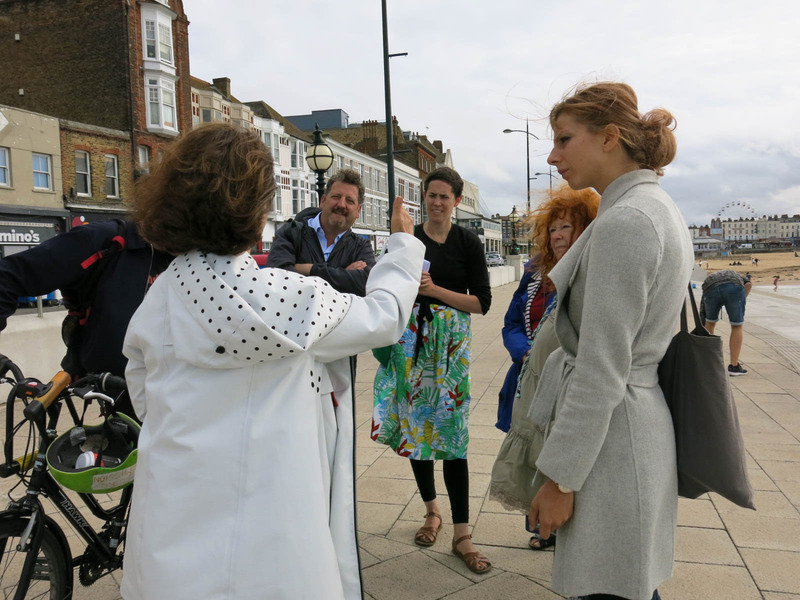 A development from the discussions that followed has been that Jackie Elson will join us on our August 19th walk which is included in the Margate Bookie listed Program. 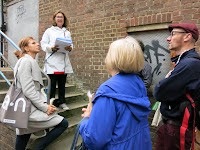 Jackie is part of the wider research group and also a gallery assistant at the Turner Contemporary. She will bring her own expertise as a Turner Contemporary navigator, to describe one of the more challenging abstract artworks chosen. We will also have use of the wireless sound enhancement system on the day, provided courtesy of the Turner Contemporary, with thanks to research curator Trish Scott. 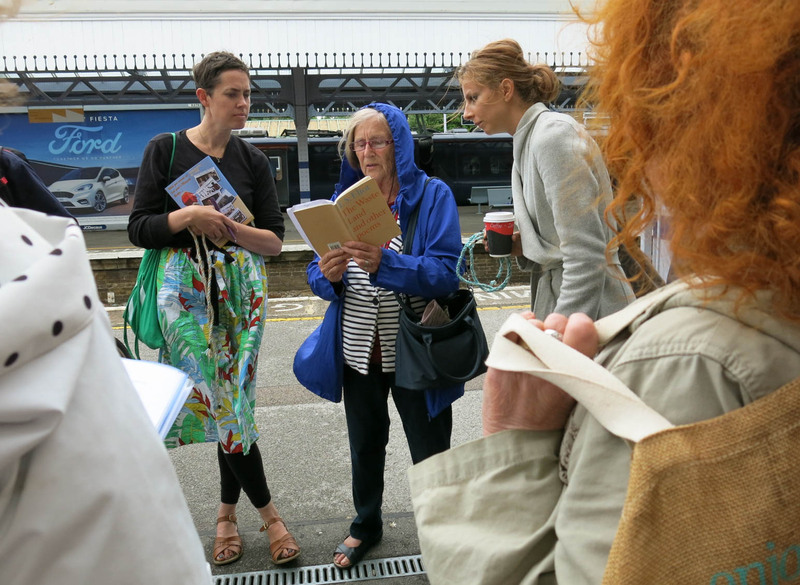 Our walk last Wednesday has set us on a wonderful path of discovery , with thanks to, Judy Dermott (writer and academic researcher) , Margaret Hall (artist, reader and geographer), Jennifer Deakin (Photographer) and Trish Scott ( research curator for Journeys with the Waste Land). I am looking forward to being a part of Margate Bookie on August 19th.